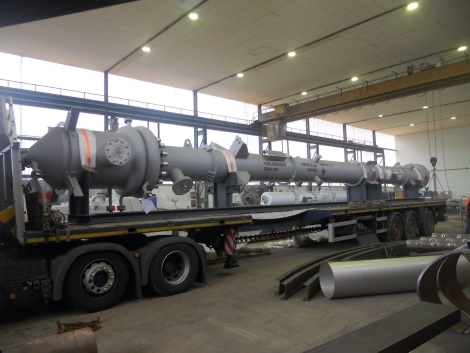 Double tube heat exchangers are one of the easiest solutions to achieve heat transfer at high pressures. Their simple design, with a series of straight tubes connected with removable bends, also makes them easy to clean and maintain. 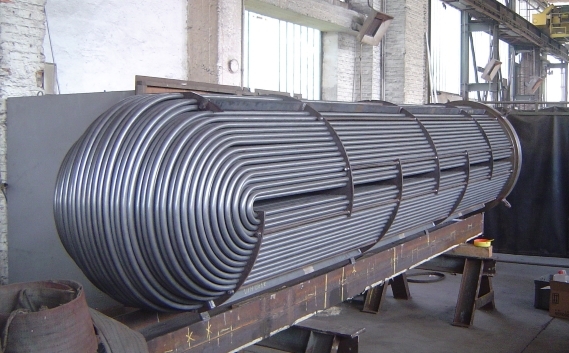 Double tube heat exchangers are often used as liquid-to-liquid heat exchangers and have the advantage that they can be operated in a true counterflow pattern. 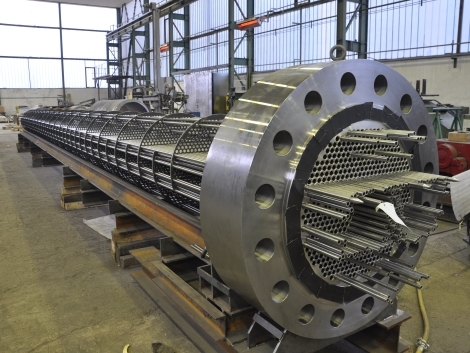 Shell and tube heat exchangers are one of the most popular types of high pressure heat exchanger, and due to the flexible design and the different variations, Innoweld can offer them in a wide range of pressures and temperatures. Specifically, in the production of high pressure heat exchangers with weld overlays out of materials like nickel, nickel chromium alloys and stainless steels, we show our superior welding quality. This high pressure recycle gas cooler was produced for an autoclave processed production of ethylene vinyl acetate (EVA) copolymers. The design is based on licensors’ specifications. The complete mechanical analysis, the detail design, the FEM Analysis and the fatigue analysis came from Innoweld. With a design pressure of 375 bar at 225°C, this heat exchanger also required a weld overlay out of stainless steel. 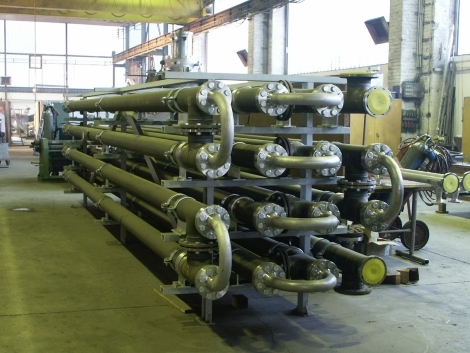 High pressure U-bundle heat exchangers are generally a cost-effective design for removable bundle exchangers. Furthermore, the U-design compensates for the different thermal expansions between the shell and the inner tubes during the different cycles of a process, and can avoid the need for an expansion joint.